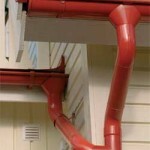 Lindab Rainline roof drainage system is available in eight distinct colours. Mixing and matching these is easy. Either discreetly lindab colours and images complementing the overall colour scheme of the house, or boldly creating accents of colour. Why not choose dark red drainpipes for a white stucco facade, Or mount exclusive copper metallic pipes on a grey stone wall, or why not mix tile-red gutters with white pipes to match the respective colours of roof and woodwork? Lindab Rainline is the roof drainage system that offers the highest quality when it comes to combining durability, flexibility and ease of installation. It has been developed by professionals for professionals. And, over time, it has become their top choice. 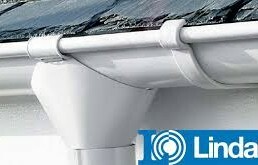 Not least because Lindab Rainline’s hard wearing properties ensure decades of performance without rusting or leaking. Steel is the ultimate material for roof drainage systems. It is lighter than cast iron, offers minimal thermal movement compared to plastic (which moves, cracks and leaks) and is inexpensive compared to cast aluminium.